Here are some scheduling changes to make note of. Effective immediately, "Comedy Is Not Pretty" with Bob Schuyler moves from 4:00-6:00PM on Sundays to it's new slot, 8:00-10:00PM on Saturdays. Rich Wasserman is back from hiatus with "Bring Out Your Dead" airing on Saturdays from 6:00-8:00PM. Also, we have some new shows upcoming, including "Litchfield County Football" hosted by Tim Gaffney which will air Monday nights. Stay tuned for further details including starting date and time. "The Sam Grover Show" is also coming soon. Bringing his experience as a musician and songwriter, Sam will be featuring music and interviews with area bands and artists. "Sonic Bifurcation", hosted by Sebastian, T-Rock and Ted, departs from the airwaves after the Thursday, August 27th (8:00-10:00PM) broadcast. WAPJ thanks the guys for their participation and wishes them well as they all head back to school and work, both stateside and abroad. Look for them to possibly come back next summer. Thanks for supporting Torrington Community Radio, WAPJ 89.9 and 105.1 FM. After exceeding the amount of petition signatures required to get on the ballot, Tom Iffland (I) appeared as a guest on "The Miscellaneous Morning Show" with Barrie Soucy and Holly Pond on Friday morning from 7:00-10:00. 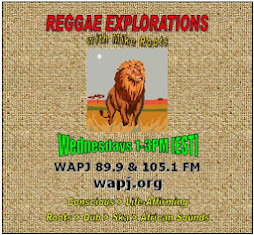 The show was also rebroadcast on Saturday from noon until 3:00PM. Iffland answered questions from the hosts on a variety of topics, with a focus on downtown redevelopment. 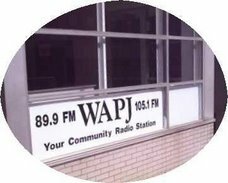 Stay tuned in to WAPJ for more political coverage as the things heat up for the November elections.